I make this at least once a week, if not twice. I used to be so intimidated at the thought of making salmon, or any fish for that matter! However, after college when learning to cook for myself this quickly became a weekly staple for me after quickly realizing how fool proof it was. To this day, it is still one of the most easiest (and satisfying) week night meals from start to finish (clean up is very minimal too!). “1, 2, 3” in the title of this recipe because believe it or not there really are just 3 ingredients: salmon, olive oil and lemon (if you don’t count S&P – which is totally fair right?!). Of course there are many other ways to make and eat salmon, which I love to experiment with on occasion. However, I always come back to this basic recipe again and again. I use wild salmon (either fresh or frozen). 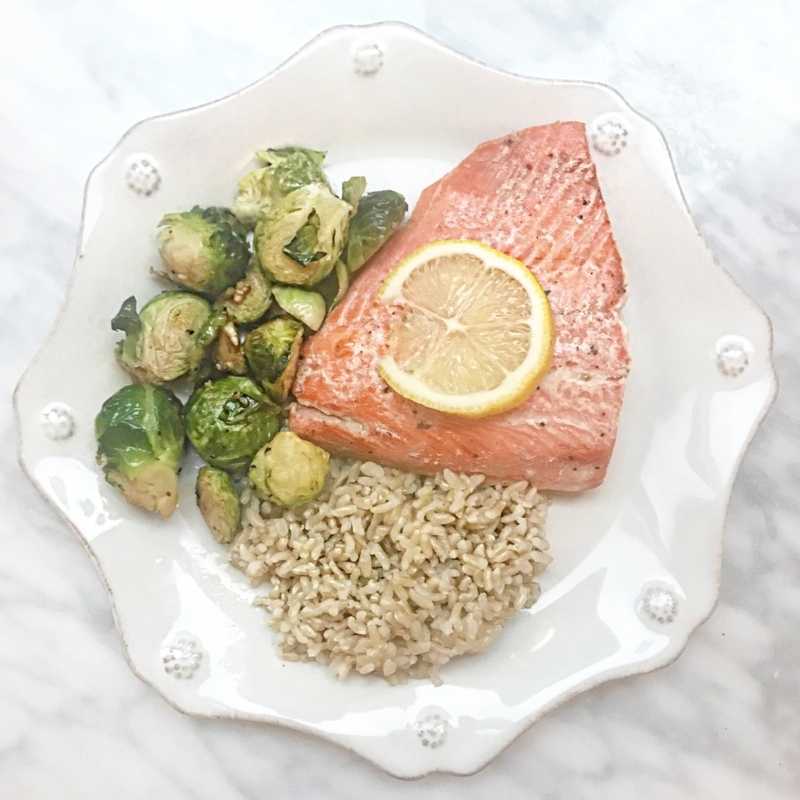 I tend to keep frozen wild salmon on hand in the freezer at all times so I can always have this as a nourishing back up dinner option when in a bind, but buy fresh when at the store and know that’s what I have in mind for the evening. Heat oven to 400°F. Line rimmed baking pan with aluminum foil or parchment paper. Place salmon into prepared pan. Lightly drizzle olive oil on the salmon (for best results use a brush or your finger to spread evenly). Bake, uncovered, 12-15 minutes or until salmon flakes easily with fork. Serve with lemon wedges for additional flavor.